The policy implications are stark. 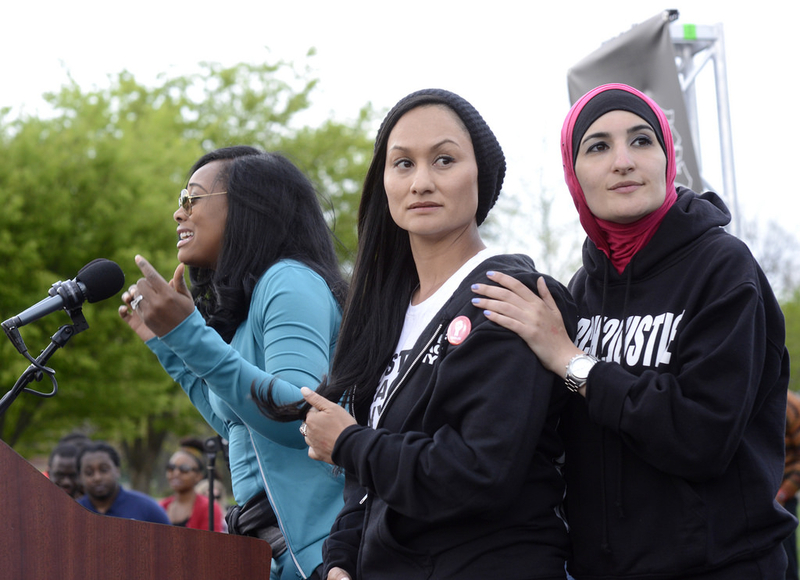 Thus, in Women's March co-organizer Linda Sarsour's view, "on an issue like Palestine, you gotta choose the side of the oppressed... and if you're on the side of the oppressor, or you're defending the oppressor, and you're actually trying to humanize the oppressor, then that's a problem, sisters and brothers, and we've gotta be able to say 'That is not the position of the Muslim-American community.'" According to the other view, American Jews are a model minority – educated, socially engaged, philanthropic, idealistic – and they are connected to brethren in an ancestral homeland that is uniquely threatened, one that is the source of the Bible. As Senator Ted Cruz put it, "The Land of Israel was the birthplace of the Jewish people... Here their spiritual, religious and political identity was shaped. Here they first attained to statehood, created cultural values of national and universal significance and gave to the world the eternal Book of Books." This is not far off from John Adam's sentiment, expressed in 1808, that the Jews "are the most glorious nation that ever inhabited this Earth. The Romans and their Empire were but a Bauble in comparison of the Jews. They have given religion to three quarters of the Globe and have influenced the affairs of Mankind more, and more happily, than any other Nation ancient or modern." Israel continues to be viewed in the US as a proxy for both good and ill. On the one hand is the idea that the nation is an indefensible hegemonic and ethnically "pure" concept designed to divide and dominate. Nationalism is a racist notion that thwarts retributive justice, its defenders racists who hide behind walls. Thus, the villain is clear. As filmmaker Rebecca Pierce put it, "Trump's racist border wall, policy of shooting at accused rock throwers, and Jerusalem embassy move are all inspired by Israel's racist regime." In contrast is the idea that nations are a good thing and need defending, sometimes by walls – such as Israel's boundary with the West Bank. "Israel built a wall, 99.9 percent successful," President Trump said, as he announced the reopening of the government, though without funding for a wall. That Israel's wall is mostly a fence is an ironic confirmation of the "wall" metaphor, albeit built to keep suicide bombers out. Sadly, America's civic nationalism is rarely defended or articulated, even by its advocates, against such selective and cynical rejection of the very idea of the nation as that expressed by Women's March co-organizer Tamika Mallory in her answer to the question of whether Jews are "natives" to their land and whether Israel "has a right to exist." "I just don't feel that everyone has a right to exist at the disposal of another group," she said. Malapropism aside, while "no human being is illegal," Jews for sure must remain stateless. Against this vision is that of the nation as a bounded and governed entity, united by history and by a creed of individual liberty and religious freedom, which expresses ideals about a republic, citizenship, and self-defense. As Thomas Jefferson put it to a Jewish correspondent in 1820, "the gratifying reflection that his own country has been the first to prove to the world two truths, the most salutary to human society, that man can govern himself, and that religious freedom is the most effectual anodyne against religious dissension: the maxim of civil government being reversed in that of religion, where its true form is 'divided we stand, united we fall.'" Ancient Israel is a touchstone to be separated from or cleaved to. Modern Israel is the chimera to be slain or the mythical ally to be supported. One vision is discontinuous and breaks with the past in order to control the future. The other links to the past in order to be shaped and constrained by it. Antisemitism as always is a Rorschach test of contemporary anathemas. Too often Jews protecting themselves and their brethren in Israel are condemned as an impediment to progress. From this mindset, shared equally by Islamists and the far left, flow the most recent accusations: an alleged perennial conspiracy to "silence" opposition to Israel; that Martin Luther King, Jr. would have condemned Israel as "one of the great moral challenges of our time" and would have supported boycotts; or that a "Zionist-Gentrification café" run by a man who posted comments such as "I am so proud of Israel and its people" should have its windows smashed and be protested with slogans like "Zionists out of Palestine and Zionists out of the Mission!!!" The post-modern myth places modern Israel at the absolute center of all issues spread "intersectionally" from the American campus to broader politics, reaching everything from K-12 curriculums and city council meetings. But the idea that Israel – idealized, misunderstood, modern – stands close to the core of the American experience is inescapable. Perhaps better understandings of Israel, both ancient and modern, are in order to help Americans choose a conception of their own nation. Alex Joffe is an archaeologist and historian. He is a senior non-resident fellow at the BESA Center and a Shillman-Ingerman Fellow at the Middle East Forum. Asaf Romirowsky is executive director of Scholars for Peace in the Middle East (SPME) and a senior non-resident fellow at the BESA Center and a Fellow at the Middle East Forum.